Aegina Poros Hydra full of fun! Good opportunity to know a little bit of Greek Islands. With the optional tour to the temple of Aphea Athina in Aegina, you visit a small part of Ancient Greece. This small cruise will take you to Hydra, Poros and Aegina and bring you back in the evening full of fun and with the taste of the Greek islands. Possibility to swim while on the islands. On the return trip, you enjoy a program with Greek music and songs. You may also join the dancers on Greek folklore dancing. This includes the transfers to and from the port, port taxes and lunch on board. (08:00) We take you by bus, from Athens to Piraeus port for your embarkation to the cruise boat. (08:30) Departure to Hydra, where we arrive at 11:45. Here you have free time for a walk or a swim at this beautiful island. 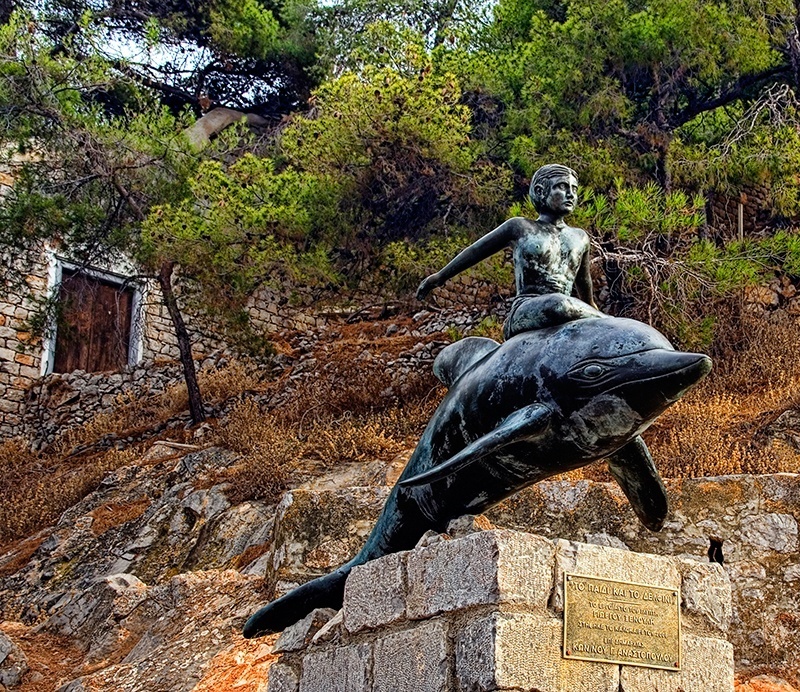 (13:30) Embarkation and sail for Aegina past through Poros and seashore of Peloponissos. The lunch will be served during the voyage. (15:30) We arrive at Aegina where you have time for a swim. Optional excursion, by bus, to the fine preserved Temple of Afea Athena.